Facebook receives over 4 billion video views per day. On top of that, Facebook has finally caught up with YouTube in Desktop video viewing numbers. 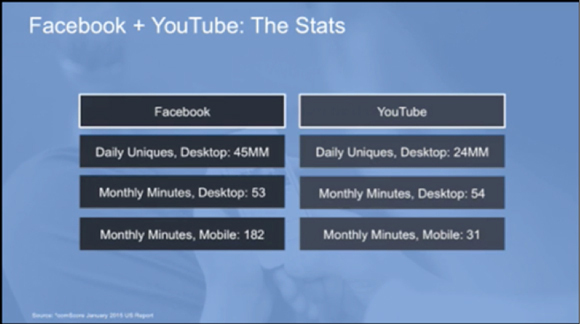 And, Facebook is crushing YouTube in mobile video minutes watched per month. The numbers don’t lie. According to Adobe, shoppers that view videos are 1.8 X more likely to purchase than non-viewers. Then there’s a recent study by Nielson showing cumulative brand impact on Ad Recall increases 74% after just 15 seconds of a video ad, and Purchase Intent increases 72% after just 10 seconds of viewing! 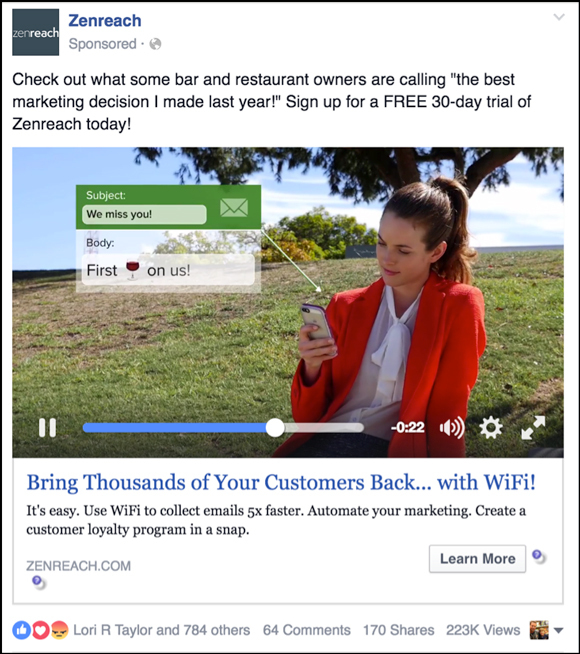 Facebook wants to make it easier for you to use video ads to create custom audiences and retarget viewers with a more direct promotional type ad. You now have the ability to create 6 different “Video Engagement Custom Audiences” based on the length of time people watch your videos. This is game-changing!! Facebook removed the limitation where you have to have at least 1,000 views per day in order to create custom audiences from viewers. 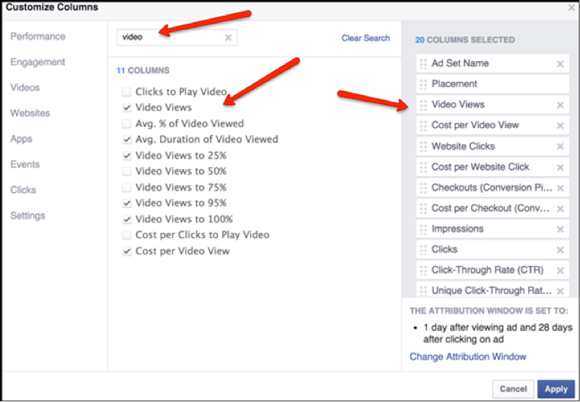 Think about how much faster you can build your custom audiences when using video ads… As the average cost per video view we normally see across several markets is between $.01-$.06 cents per view. This means you are adding a new user to your custom audience lists by $.01-$.06 per person, which you can now retarget with other campaigns. So… What’s the Hold Up? Don’t know what to say, how long the video should be, etc. Do any of those reasons sound familiar to you? If you said yes, I completely understand how you feel! This was exactly how I felt when I first started making videos and running video ad campaigns. 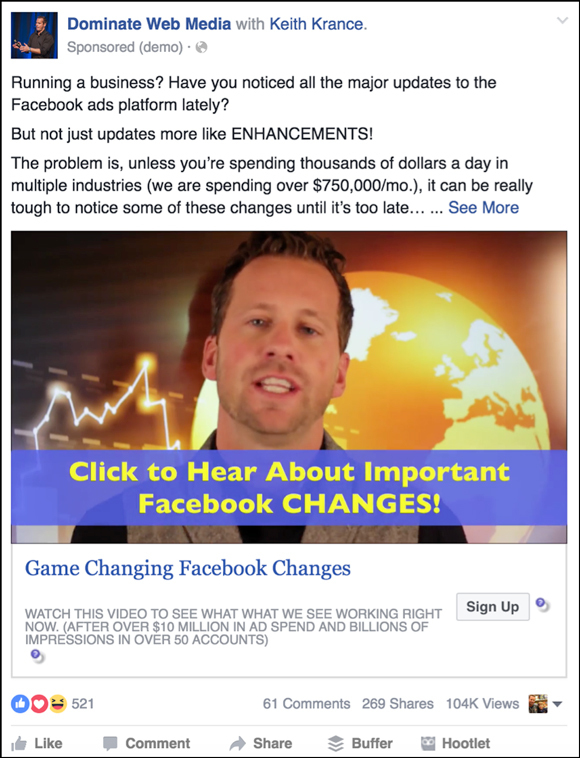 The good news is that with today’s technology, literally anyone can create and run a high-quality Facebook video ad campaign with no prior video experience or technical skills. 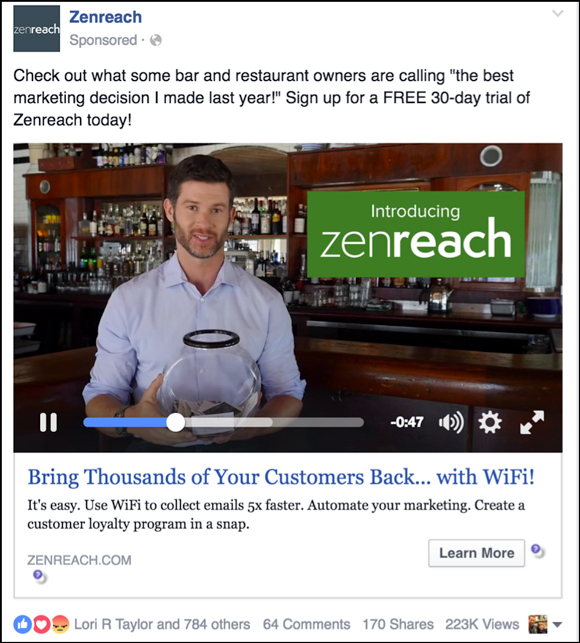 Facebook video isn’t just a hot future trend. This is happening now. This is the best. 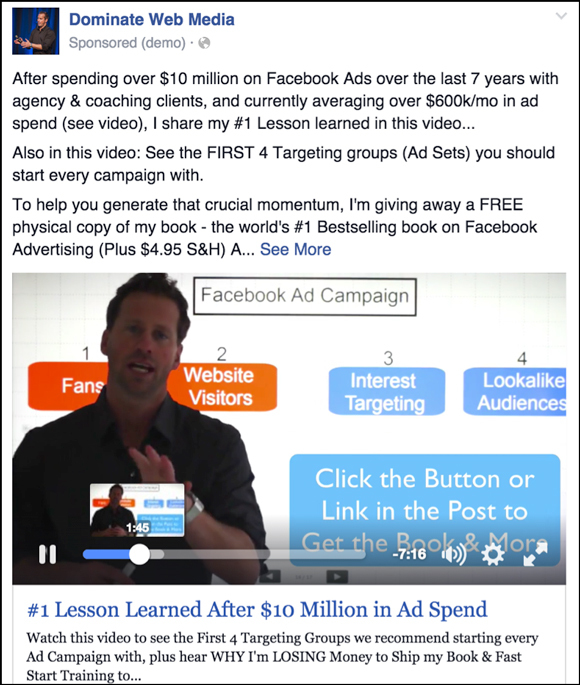 To make it a no-brainer for you, I’ve laid out a simple 5-step process for crushing it with Facebook video ads. 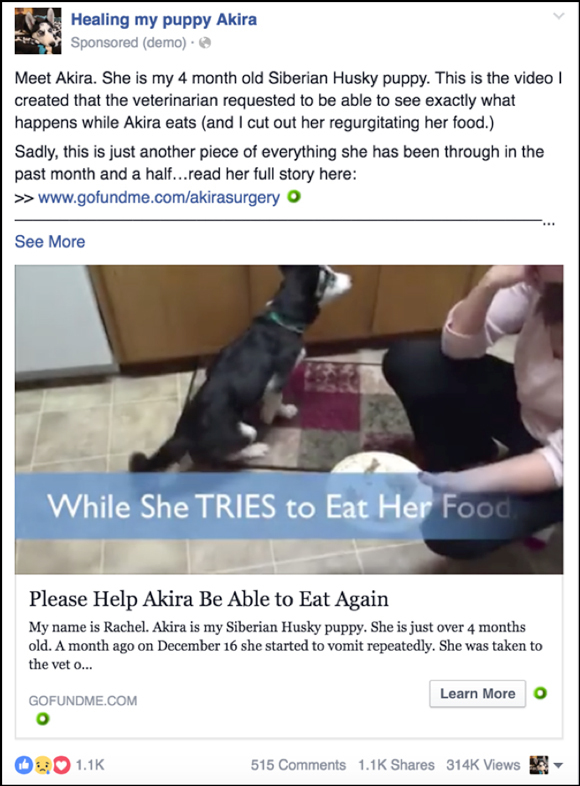 In the 3 examples below, you can see different ways to use text overlays to get people to take action. 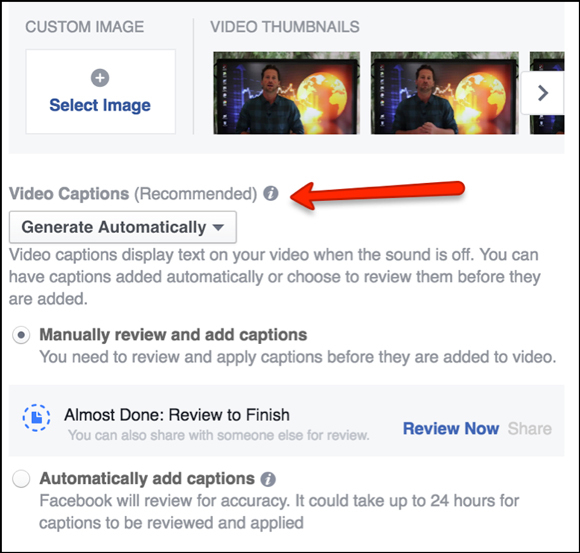 The great news is now you don’t have to create text overlays with your video editing software – you can just tell Facebook to “Add Captions,” and they will automatically add a text overlay for you! You just have to be careful with these as Facebook is captioning word for word, and it can sometimes mess up the text or be too much all at once for the viewer to comprehend. The more you educate and demonstrate, the more people will trust you and want to continue watching and to take action. And the more value you provide, the more people will share your video. Check out the way I use a Soft CTA in this ad by informing the audience that my book is up for grabs for free, without telling them to go add it to their cart. 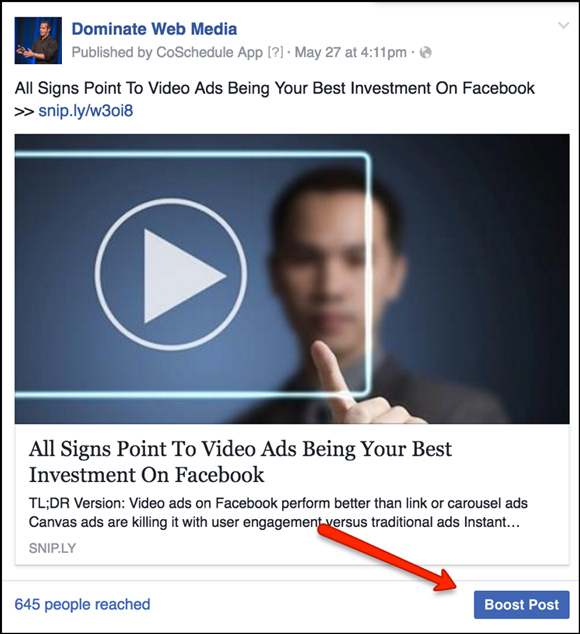 Now we’re ready to dive into the nitty gritty of Facebook video ads. Let’s do it! You’ll want to choose one of 3 proven video styles I’m sharing with you below. 1. Grab attention. Possibly use a Pattern-Interrupt. 2. Build interest or curiosity. How can you quickly make your audience aware of a problem your product or service solves? Can you create an open-loop? 3. Show your authority or credibility without looking like you’re boasting. 5. Natural CTA. A good video ad makes the CTA the obvious next step for the viewer. This has been one of our most successful styles of video ads. A content-rich video that educates, informs, possibly entertains, and persuades. It doesn’t have to be between 3-6 minutes either – some of our most successful video ad campaigns are longer. 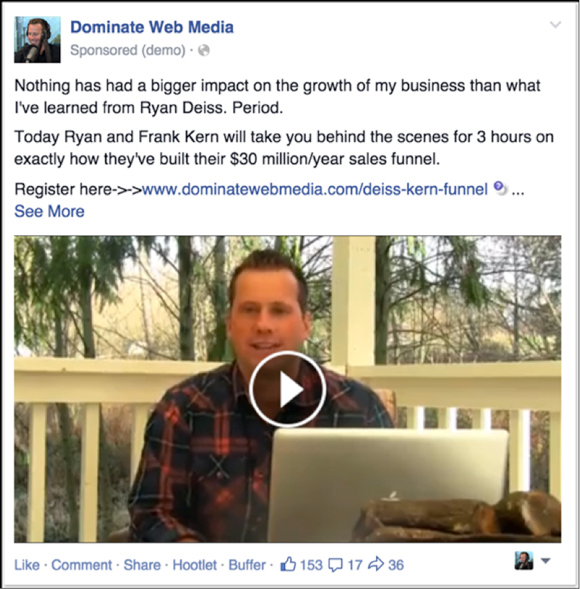 We have a 9-minute and 12-minute video ad that have both knocked it out of the park. The Objective you choose will play a big part in the performance of your campaign. If your goal is to generate conversions, such as webinar registrations or product sales, then you should start out using the Website Conversions objective. We’ve seen huge conversion cost swings just by changing the objective from Video Views to Website Conversions. And vice versa. With Facebook’s recent improvement on Video Views objective bidding, we can now optimize for 10 second views instead of just 3 second views – a higher quality view. 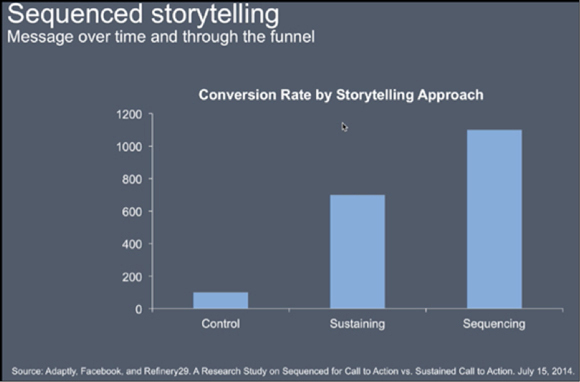 And we’ve seen this objective outperform Website Conversions in some cases. Also, Facebook’s improved the Brand Awareness objective, where you can now track “Ad Recall Lift,” which shows the estimated number of people Facebook estimates will remember seeing your ads within 2 days. Start with the Objective most aligned with your ultimate goal — be it conversions, clicks, Likes, views, etc. 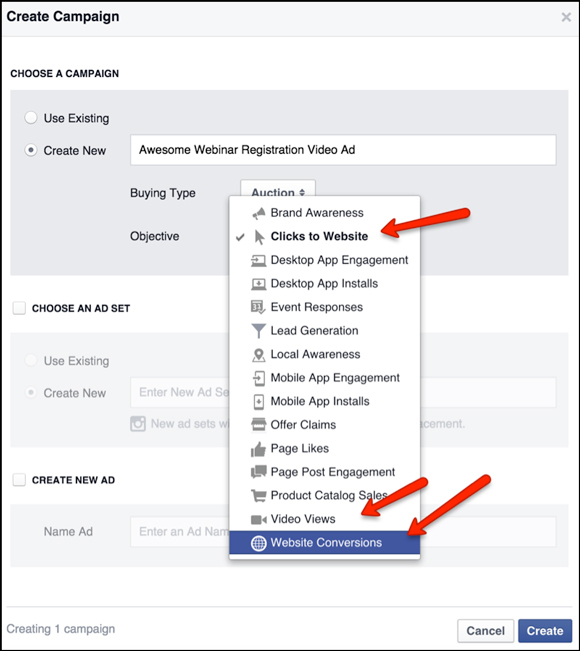 Then test other campaign objectives and see which one works best for your video type. We like to start out most campaigns with “warm” audiences, as you’ll see in the screenshots below. Warm audiences are people familiar with your brand. We have seen 3 categories of ad copy that work with video ads. I consider a “short copy” ad as an ad where the user does not have to click “See More” to read all the content in the post. 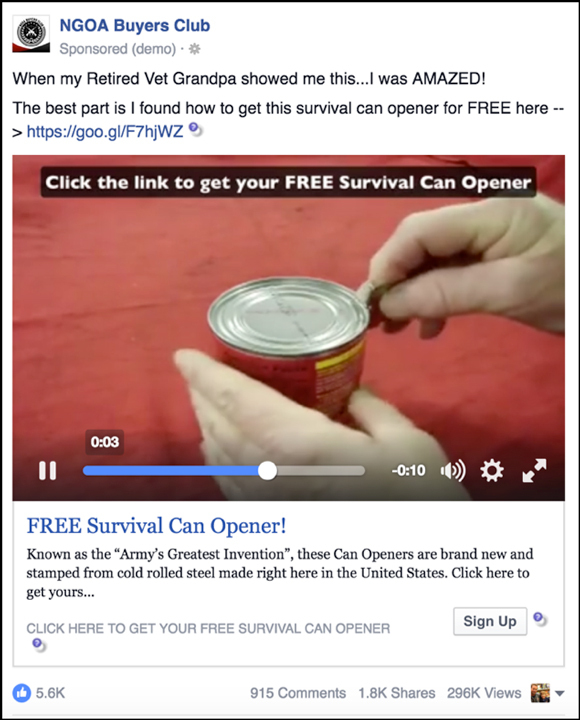 The second line is all about clicking through to get the survival can opener. This is where you have to click “See More” to read the entire post copy. We normally follow the same framework of first half focusing on the video and the second half focused on the CTA. Long copy ads are my favorite ad type, whether we’re running a video ad or a non-video ad. In most cases, long copy ads have outperformed short copy ads in terms of ROI. In many cases, our lead costs go down while the lead quality goes up. 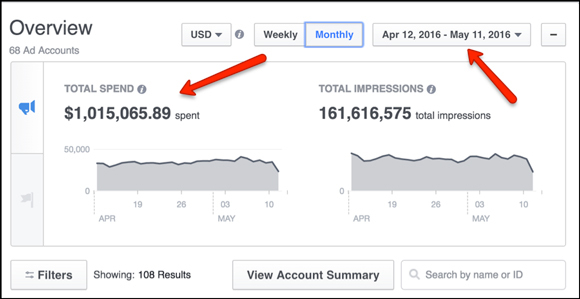 You don’t get penalized or charged more when people click “See More,” it signals to Facebook that your ad is engaging, and you get rewarded. Another hidden benefit to long copy ads (as long as it doesn’t appear too salesy or hyped up!) is that they give a higher perceived value to the average user on Facebook. 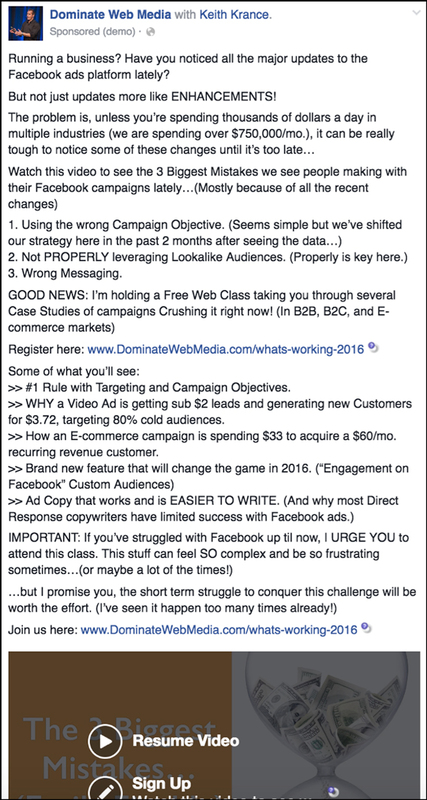 We will edit out some content, but sometimes we have a mini-blog post as post copy of the ad… and it works! The ad below is one of the best performing ads I’ve ever created for the Dominate Web Media brand products — even with me doing a lot “wrong,” but we’ll get to that in a moment. I’m doing everything wrong according to all the experts. Too long of a video. …yet, it is generating leads for $2 and customers for $4. It’s a 2-step order form where you enter your name and email first, then get to the full order form. And building Video View custom audiences for $.05 cents per person. 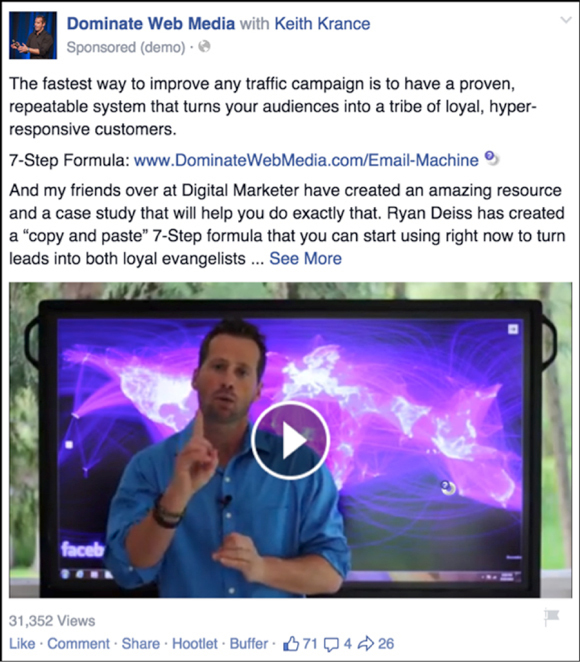 To see this video ad live in Facebook you can click here and dissect it. 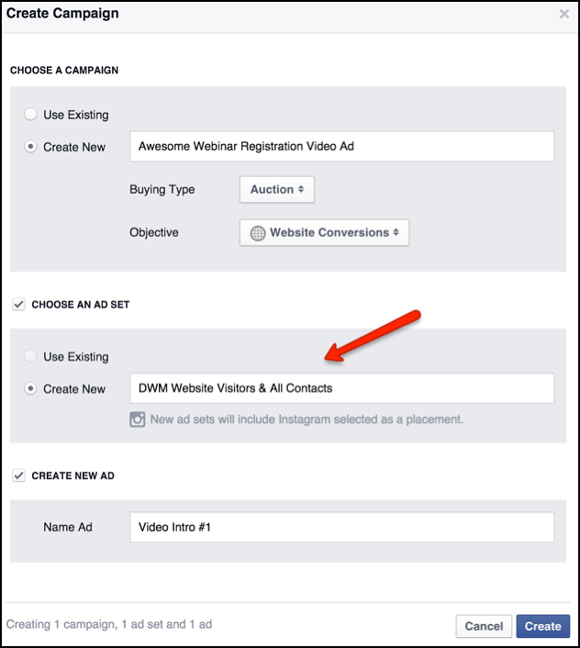 As soon as your video ad starts running, you can start to monitor performance. 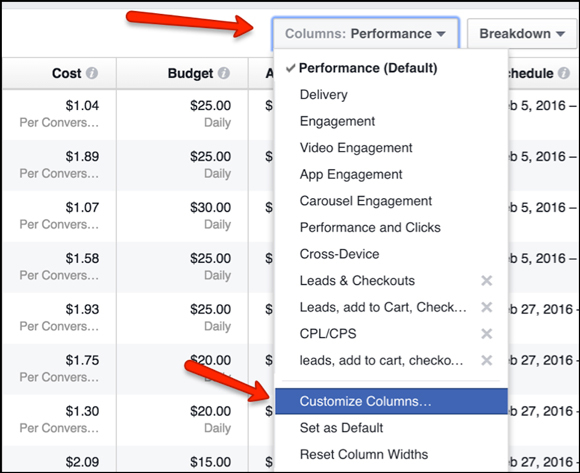 Use the “Customize Columns” dropdown menu in the Ads Manager to filter out the unnecessary metrics and focus on the most important metrics for your situation. Use the “Search” feature inside the customize columns window to quickly select the metrics you want to analyze. Notice the “x” options on the right side of the window. Here you can remove un-needed metrics that can clog up your report, and re-order your metrics to make them easier to analyze. 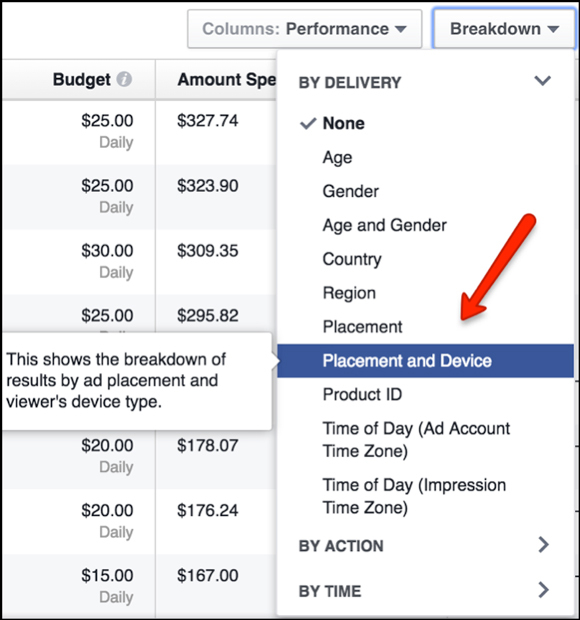 Next, dig into the Breakdown data – specifically Placement and Device. Here you can compare desktop vs mobile, newsfeed vs right column, etc. 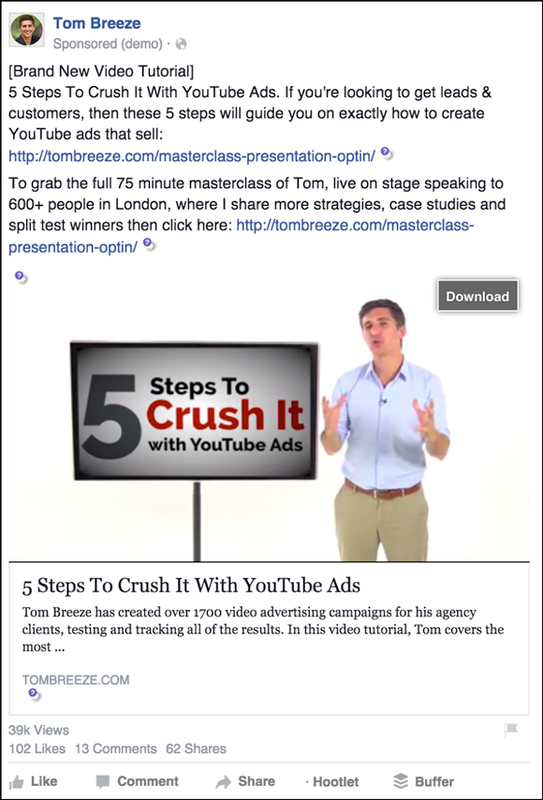 That’s the 5-step process for crushing it with Facebook video ads! 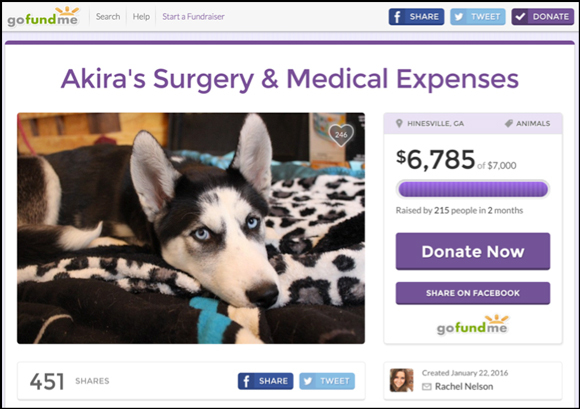 She told me she had a 30-second video she took to send to the vet, so we took that video and turned it into a video ad sending people to a GoFundMe campaign that a friend helped her set up. 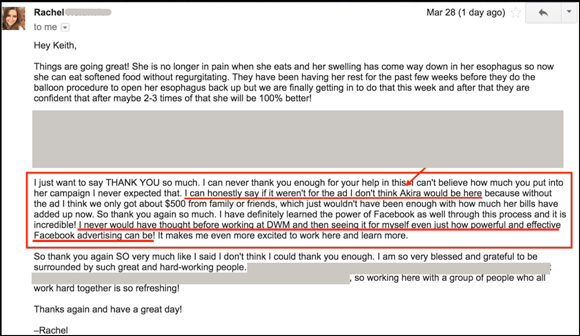 Here is the email reply I got from Rachel when I was checking in on things a couple months after we got things going. We created this campaign in about 30 minutes and recorded the whole process and put the video inside Facebook Ads University for people to see how quickly you can do this if you just bear down do it! I figure that if I’m going to promote somebody else’s product I might as well build my own audience along the way, as a collateral benefit. I initially used video ads driving traffic into their landing page, which was building my own video view custom audiences the entire time, as well as branding myself to my exact target audience. Again, building my own custom audiences and driving traffic into my own site. This was the second video ad I decided to run last minute the day before The Machine closed. Notice the cost per view of $.03 and the Relevance score of 7/10 on a highly promotional ad. 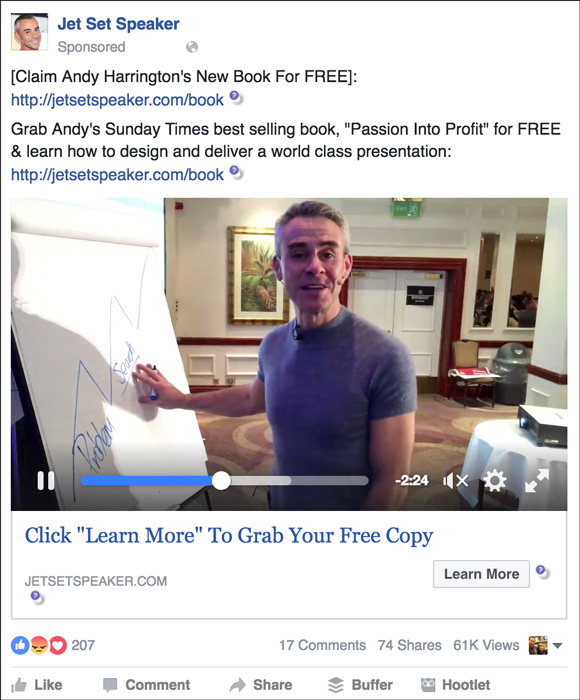 The ad you see here is driving Facebook cold traffic directly to an Amazon product page. 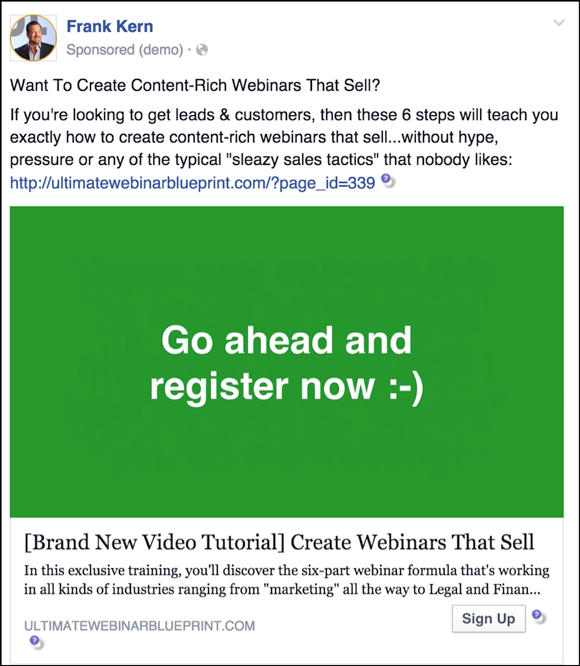 This is normally something we would NOT recommend doing, as Facebook ads are “interruption marketing” and you normally need to lead with something higher up in your sales funnel. You normally need to educate and/or really build in some desire before you can go in for the sale. However, in some cases you can skip this entire process with the perfect video that gives instant third-party credibility and also educates at the same time. 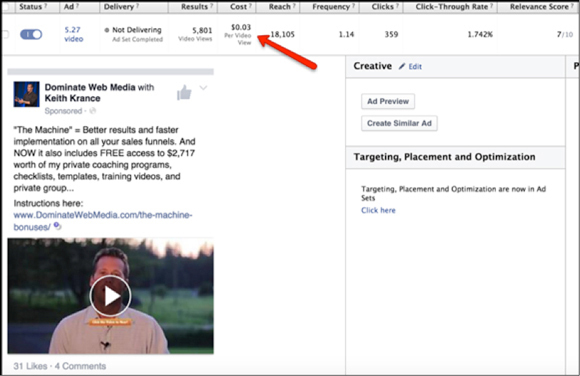 The amount of collateral branding that is happening when you are running a video ad campaign is 10X what a typical Page Post Link Ad is giving you.